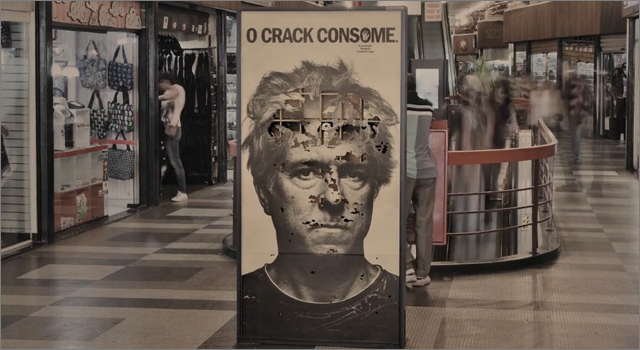 A campaign running at the Galleria do Rock (Gallery of Rock), a rock-themed mall in São Paulo, highlights the dangers of crack cocaine by showing the faces of people living with addictions literally being eaten away from the inside. The posters printed on dough, contained hundreds of hungry beetle larvae that happily ate away at the poster, reinforcing the message “O Crack Consome” (Crack Consumes). The campaign was created by São Paulo agency Talent. Crack Consumes from Malabar Filmes on Vimeo.